What is better than a Seaside Beach Cottage? This prime beach location with superior ocean views! 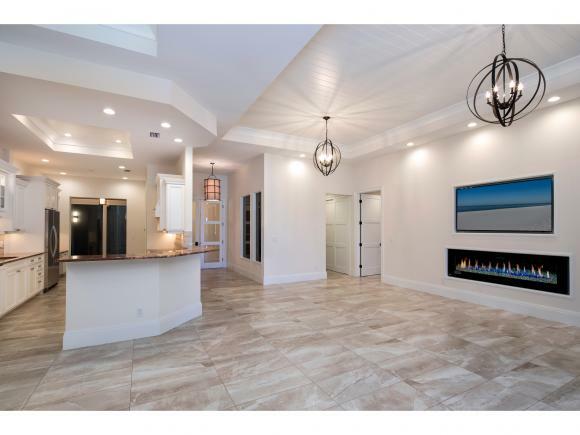 Take a look for yourself at this luxury custom remodel and be amazed with the light and open spaces this residence provides. The WOW factor starts as you walk through the private entrance and you are immediately greeted with an elegant wine room for every occasion. The elevator free living and designated parking next to your front door, no steps, provides a true home like feel. This condo boasts 12 ft high ceilings and 8 ft doors and the luxurious upgrades continue with its unique glassed in wine room, expansive upgraded kitchen with double wall oven, breakfast bar, and patio, generous glassed in lanai with stunning water views, open floor plan, living room with a fire place, custom lighting, cabinetry, woodwork, and hardware throughout, plank ceilings, over-sized master suite w/ dual walk in closets, walk-in showers, and separate soaking tub, laundry room and tile throughout. This unit is a true touch of class!